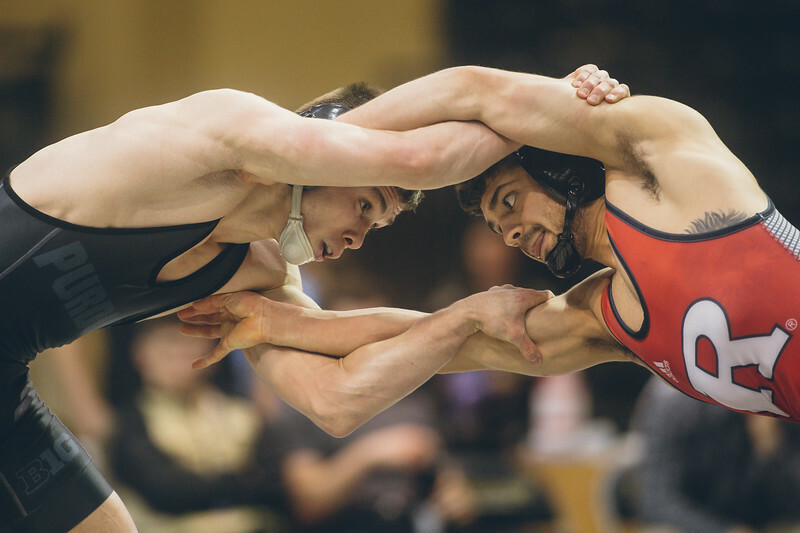 Sunday I was back in Holloway Gymnasium again to photograph wrestling. 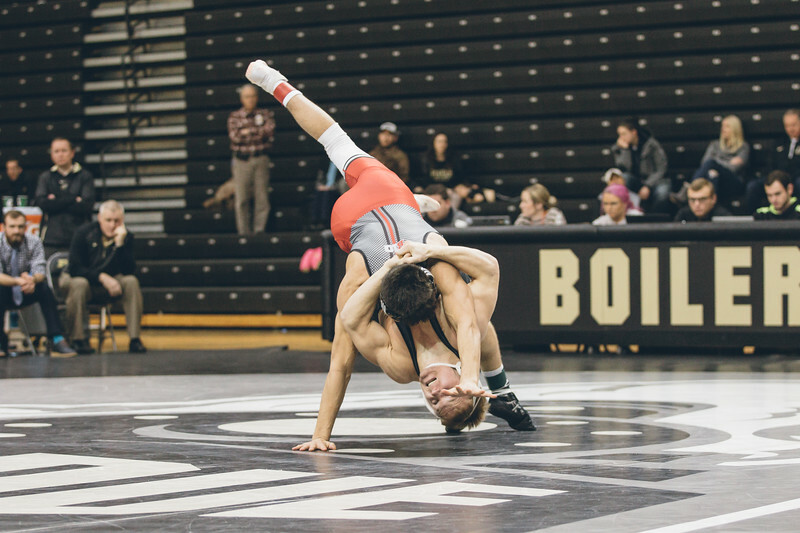 After not photographing any wrestling for a couple of years it is nice to be able to get out and do it a few times this year. The only way to improve on something is to keep doing it, and I need the practice. Here are my favorite photos from last week. It was a fun week which including four sporting events in four days to close it out. This wrestling match was my final event of the week. Take a look to see some of my favorite shots. 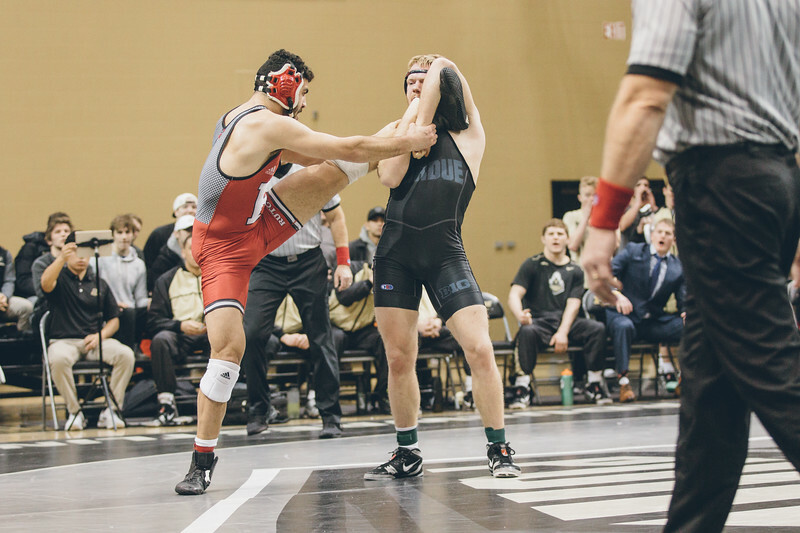 Here is a link to the Purdue wrestling gallery from this past weekend. It has the work of Charles Jischke as well as myself in it. Charles shot the match on Friday and I shot the match on Sunday. Luckily both of the opponents were wearing red so maybe that can confuse some people into thinking that some of his great shots are mine.